ect to keep you cool. Smile Wool absorbs moisture from the body and allows it to dissipate before it becomes sweat. The wool fiber itself is highly breathable and releases extra heat as well. Smile Wool controls body temperature loss while wicking away moisture by its own moisture absorption structure and dispersion structure. The collect amount of water repellency also keeps Smile Wool from sticking to your skin. Smile Wool is produced with 18.5 Micron Finespun Merino Wool while most of wool use 23 Micron. This is why Smile Wool isn’t Itchy. Compared to typical ENZYME WASH pre shrunk, OZONE WASH pre shrunk does not damage the best attributes of the wool “scale”. Additionally, OZONE WASH is environmentally friendly: it simply reverts to oxygen and uses less water. 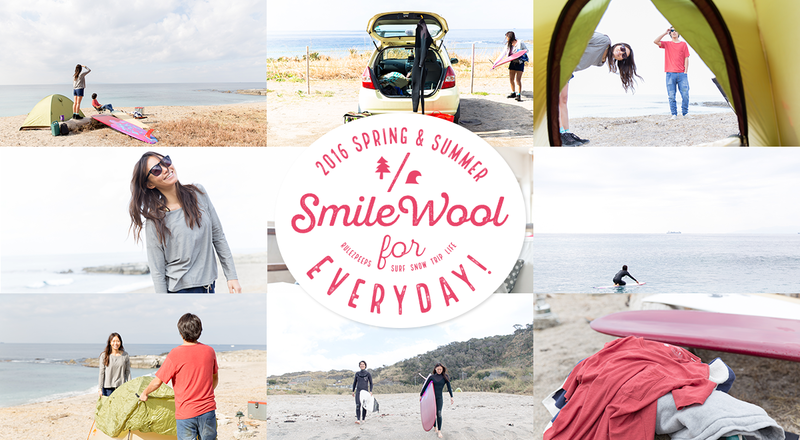 Smile Wool has naturally occurring anti-bacterial and deodorizing qualities. Non-mulesing New Zealand Merino wool.